Why did you start your business: It’s been my childhood dream to start a video and film production company. While pursing my first degree at Ahmadu Bello University in Zaria, I worked on the production of several Hausa films and drama series. Upon graduation, I went full swing into the world of video and film production, which I found were interlinked. I then produced a docu-drama titled “Tun Ran Gini,” a UNICEF sponsored documentary about polio eradication. Still in its early stage, my company has executed two (2) successful projects. I strongly believe that this year (2013) will propel us further to greater heights. I remain optimistic that my vision for my company will come to pass. My goal is to become the largest reality television and radio production company in Nigeria with a solid reputation for excellent ideas and highest quality services. As a young African entrepreneur, my voice matters because I want to give back to society. I also want to organize training workshops for women in my community, teaching them about video editing. Why did you start your business: I started Benefits Aquarium when I could not find a job. I hold a Master’s degree in Marine Pollution and Management from the University of Lagos. I grew up with the mindset that whatever you build or create in favor of the environment (either directly or indirectly) will be beneficial. I am passionate about designing and constructing aquariums so I started the business with some of my classmates. I designed my first aquarium in 2010. Though the market is a bit tough, I believe that with time and more effort, things will change for good. This business is my job and I am proud to be an entrepreneur. I need help with setting up a standard aquarium outlet in a strategic location and I would like to buy equipments so that I can make more unique designs. As a young African entrepreneur, my voice matters because I need the support and encouragement to continue my business as an independent aesthetic entrepreneur in aquarium design and construction. 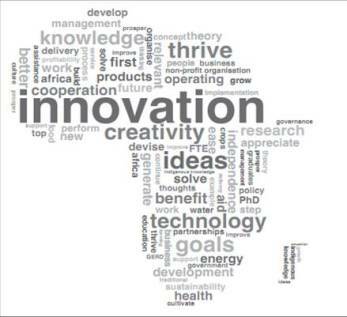 Supporting innovation in Africa is no easy task. Political instability, civil wars, terrorism, and uncertainty often disturb the ecosystem of progress and sustainable development. The AWP Network met with three (3) of Africa’s most innovative young women entrepreneurs who share their thoughts on how to improve and support innovation. Often, we find that when discussing innovation in Africa, such discussions normally don’t include young African voices, particularly that of women and girls. But their voice matters and without the inclusion of African women and girls in such discussions, whether of that involving technology, sustainable development, or innovation – change cannot happen. Research conducted by the African Development Bank (AfDB) shows an increase ranging from 10 to 30 percent in the number of women-led enterprises over the last decade. In Uganda alone, women account for 40 percent of businesses (EIU, 2010). As the number of women entrepreneurs and innovators increase, their voices can no longer be ignored. African women and girls have a significant role to play in Africa’s economic and innovative transformation. Nkem Uwaje, Managing Director of FutureSoft Nigeria and winner of the 2012 Etisalat Nigeria Prize for Innovation states, “we can improve innovation in Africa by supporting people with innovative ideas and I think that competitions and contests are a good way to start. African governments and the private sector need to work together to launch more contests and competitions that focus on innovation. Entrepreneur and innovator, Bilikiss Adebiyi-Abiola, CEO at WeCyclers – a company determined to fix the urban waste management system and focused on giving low-income communities in developing countries a chance to capture value from waste and clean up their neighborhoods through an incentive-based recycling program says, “to improve innovation in Africa, we need to invest more in education. Founding CEO of Yeigo Communications and ReKindle Learning in South Africa, Rapelang Rabana adds, “to improve and support innovation in Africa, the single most powerful thing to do is to deliver quality broadband internet to the majority of Africans. That, I think, will do a lot more than any ‘Ministry of Innovation,’ than any innovation fund, or any kind of innovation vehicle that we can think of. Access to information and communication is the most empowering thing we can do to support innovation. It opens doors for greater innovation in farming, education, health, financial services, and supporting entrepreneurs.” Rabana’s company, Yeigo is credited with creating ground-breaking applications and services that took advantage of the internet, mobile and cloud computing technologies to reduce communication costs in South Africa. In 2008, Swiss-headquartered Telfree Group of Companies, a pioneering next-generation telecoms operator, acquired a majority stake in Yeigo, enabling the group to provide the full range of telecommunications services. CEO, ReKindle Learning and Yeigo Comm. Coined by CNN.com as one of Africa’s Marissa Mayers, Rapelang Rabana is founding CEO of Yeigo Communications and ReKindle Learning. Yeigo is credited with creating ground-breaking applications and services that took advantage of the internet, mobile and cloud computing technologies to tackle the cost of communication in South Africa. In 2008, the Swiss-headquartered Telfree Group of Companies, a pioneering next-generation telecoms operator, acquired a majority stake in Yeigo, enabling the group to provide the full range of telecommunications services. 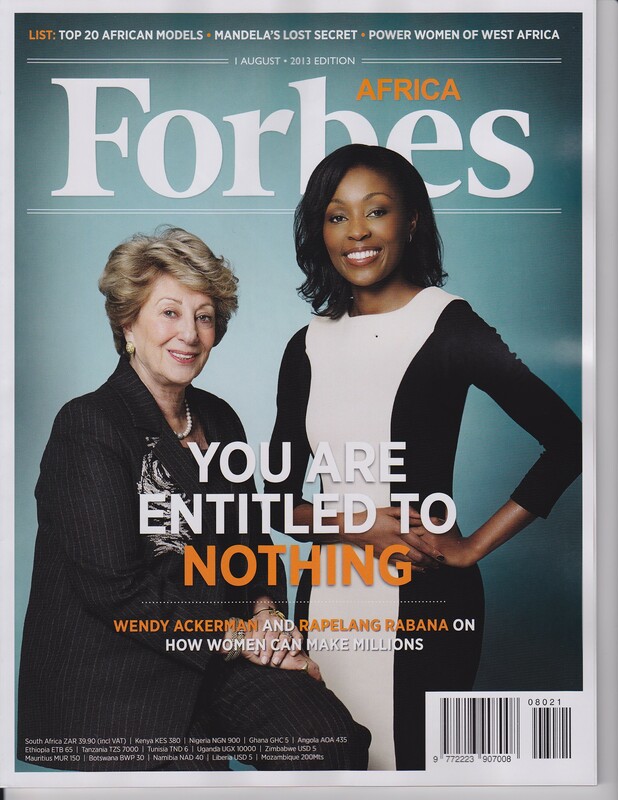 Chosen by Forbes as one of Africa’s Best Young Entrepreneurs, and listed on the ‘O Power List’ by The Oprah Magazine, Rapelang Rabana is one of Africa’s success stories. More recently, Rapelang started an innovative technology-driven education company seeking to use and integrate the power of mobile and internet technology to improve and complement learning for students and corporate employees. The AWP Network met with Rapelang to learn more about her entrepreneurial journey and new venture. How did you come up with the name of this business? The name ReKindle Learning, speaks to my dream of making learning easier, accessible, and effective to South Africans. The deterioration of South Africa’s educational system has undermined the magical process of what I think learning should be. It is kind of like ‘rekindling a fire.’ ReKindle Learning is about re-igniting a desire to learn. I had a great education. I was not short of support. Despite all of the privilege, I wondered about some of the inefficiencies in the education system. I began to think about a different approach to learning. For instance, integrating mobile technology into South Africa’s educational system -– my dream is that education will be accessible to young South Africans. I want the learning process to be so easy that young South Africans can easily interact with each other about assignments, ask questions, chat with friends, tweet, or send out an email. I want them to be able to take out a cellphone, open an app, complete their homework, solve a math quiz or an assignment. ReKindle Learning is an interactive mobile learning platform designed with the idea of ‘learning as a lifestyle.’ I believe that education is the way out of poverty and helplessness and for Africa to grow and build sustainable development, we must focus on education and improve the learning process and system. This solution supports learning needs in a number of markets as learning and training are pervasive and the platform is content neutral hence it can be customized. The specific challenge that ReKindle Learning tackles is that of knowledge acquisition and retention through a mobile learning application designed to reinforce the assimilation of knowledge. The private and public sector require this for training staff, and schools need this to support learning in the classroom. How have you financed this business? I have financed the business with my own savings. This idea is currently in its early stages and there is a need to validate the offering in the market. I have come to greatly appreciate the risks of funding a business idea in its early stage. There has been a lot of innovation in the education space – streaming lectures, online videos, and digital textbooks. These are means to e-learning and methods to access various forms of content online thru tablets and mobile phones. While digitizing content is crucial, it only solves the issue of ‘access’ and does not automatically ensure that learning happens. After one has read the digital content how can we continuously measure the level of knowledge attained? The platform provides a personalized learning path adaptable to each individual’s learning style and pace. Content is encapsulated in small repeatable learning steps to match the way the brain works. Instant feedback is provided after each interaction or a learning step is introduced to reinforce learning though a strong feedback loop. The learner’s progress is transparent and visible through a dashboard. It is not just about using technology but about providing a well-grounded solution to an engaging learning experience. Education is a significant space with many extraneous variables influencing educational learning outcomes. Technology-driven educational solutions are by no means a silver bullet solution for the vast array of problems affecting schooling, general skills, and training levels in South Africa. Technology has a critical role to play in solving Africa’s education problems. I believe that we must invest in creating new learning experiences and develop new learning paradigms away from the status quo, especially if we are to take significant steps forward. Too often we assume that we already have the technological solutions, but in my view we have barely began to understand what it means to learn on a digital platform and it is up to Africans to invest in this exploration for no one else needs it as much. My intent is that ReKindle Learning will play a critical part in this epic journey for many years to come. How have you managed to stay in business this long? I ran my first business, Yeigo, for over 7 years. This new venture is but a few months old. Entrepreneurship for me is a personal journey rather than a business journey, which is why perseverance and humility go a long way. Entrepreneurship, especially at a young age, is an incredibly steep learning curve and learning every day is a very humbling experience because you have to acknowledge how little you know and perhaps how-not-so-smart you are, and still keep going regardless. What challenges do you face or have you faced thus far? The main challenge is the challenge most new businesses face – validating the value proposition. It is not just great to have an idea, you must be able to execute. This is my second business and it isn’t any easier the second time round. In fact this time, you are not blessed with the power of naiveté and you see many obstacles. 1. Be an Expert – You must decide that you are going to be an expert in your area of focus. You must do your research and know your competition. It is the only way you find and maintain a sustainable niche. With the internet, there is no excuse not to build an area of expertise even as a small startup. It is the fastest way through the clutter in the market. Read! Read! Read. 2. Do What you Love – Running a business will take up everything you think you have and a whole lot more after that. This is why it is very important to do what you love and not just pursue money. The pursuit of money provides little solace during tough times. 3. Find a Partner – Look for a business partner whose values are similar to yours. Statistically, your chances of survival are higher when you have a co-founder than if you are by yourself. 4. Trust your gut or intuition or what I call your natural intelligence. The more you use it over time, the better it gets. Learn how to tune into yourself and your innermost thoughts, the sooner you start, the better. 5. Share your ideas – Secrecy does not protect your idea. As soon as you launch, people will know anyway and if your idea can be stolen by talking about it, then think about the competitive advantages. The only real protection in the world is your execution, and your delivery on a product or service. You have to make people want your product or service and them feel that there are no other options available to them and build your market share from there. Money really is not everything. It is a false comfort. Money will not stop a “real entrepreneur” from starting a business. Work until you have saved enough – find investors, ask friends and family, borrow. Money should not stop anyone from fulfilling their dreams. Money is an accelerator – whether you are going in the right or wrong direction, money simply accelerates you in the direction that you are already going in. It is far more important to figure out how your business really works, your business model. What is the real value proposition that will keep customers coming back? That is what dictates if a business succeeds or fails. Investment funding often decides the scale or pace of that success or failure. Finding investments does not necessarily save a business. It is not the silver bullet. Get as far away from that idea as possible. If Africans youths traded with each other, the market would be so large and so valuable. There are obviously a number of limitations including various environmental and infrastructural factors that hamper inter-regional trade and economic activity but we can choose to begin the journey and make changes right now. I must also say that the lack of trust among Africans is actually far greater than the barrier to trade and economic activity or any environmental factor. We can start by opening up our minds and having more conversations with each other. Let us begin with establishing trust. I am still in the startup phase of the company – we are growing and plan to hire. For now, I work with a group of consultants and advisors. The single most powerful thing we can do is to deliver quality broadband internet to the majority of Africans. That, I think, will do a lot more than any ‘Ministry of Innovation,’ than any innovation fund, or any kind of innovation vehicle that we can think of. Access to information and communication is the most empowering thing we can do, to support innovation. It opens the door for greater innovation in farming, education, health, financial services, and supporting entrepreneurs. 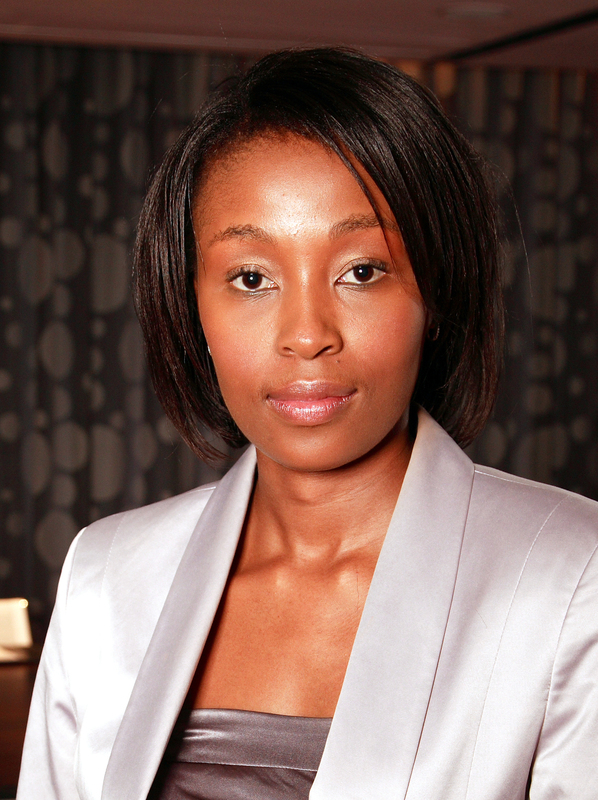 Rapelang Rabana graduated with a Bachelor of Business Science Degree (Computer Science Honors) from the University of Cape Town. 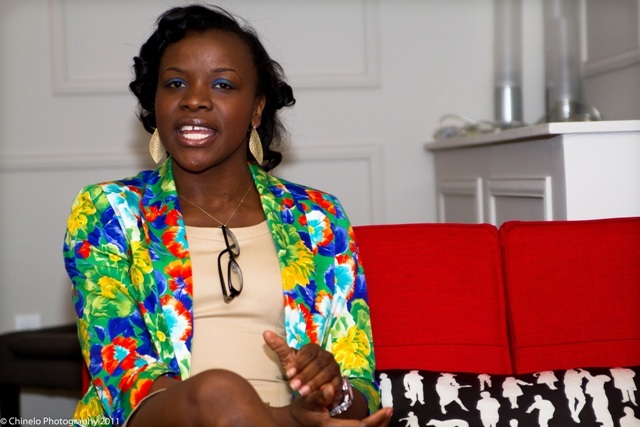 Immediately thereafter, she co-founded Yeigo Communications – a Technology Top 100 company. She is also Board Member for Ubuntu Africa, an NGO providing lifesaving health and support services exclusively to children infected and affected by HIV/AIDS. Website: www.rekindlelearning.com is coming soon. 1. Mametja Moshe, (Johannesburg, South Africa) is Executive Director at Identity Mineral Resources (Pty) Ltd., an African mining investment company. Before joining the Identity group of companies, Mametja worked as an Investment Banker at Morgan Stanley covering the South African, Zambian, and Nigerian Mergers & Acquisitions and Equity capital markets for the mining industry. Mametja has also worked at UBS covering South African Mergers and Acquisitions. Prior to her Investment Banking career, Mametja spent five years at KPMG Inc. serving her auditing articles in the Consumer Products team and later joined the corporate tax team. Mametja has sat on the boards of EuroDollar Foreign Exchange (Pty) Ltd and Southgold Exploration (Pty) Ltd. She obtained a B. Com Hons (Accounting) and a B. Com Hons. (Management Accounting) degrees from the University of Kwazulu Natal. Mametja is a qualified Chartered Accountant and a graduate of the Global Executive MBA Program at Columbia Business School and London Business School. 2. 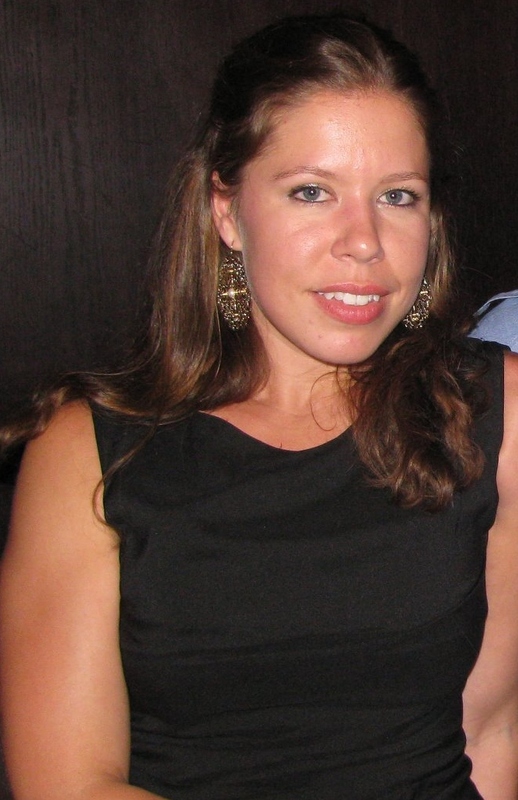 Mara van den Bold, (Washington DC., USA) has worked in international development for over five (5) years. Starting her career in the water, sanitation, and hygiene (WASH) sector with an international NGO based in London, UK where Mara gained experience in strategy development, project management, and partnership development across the African continent. 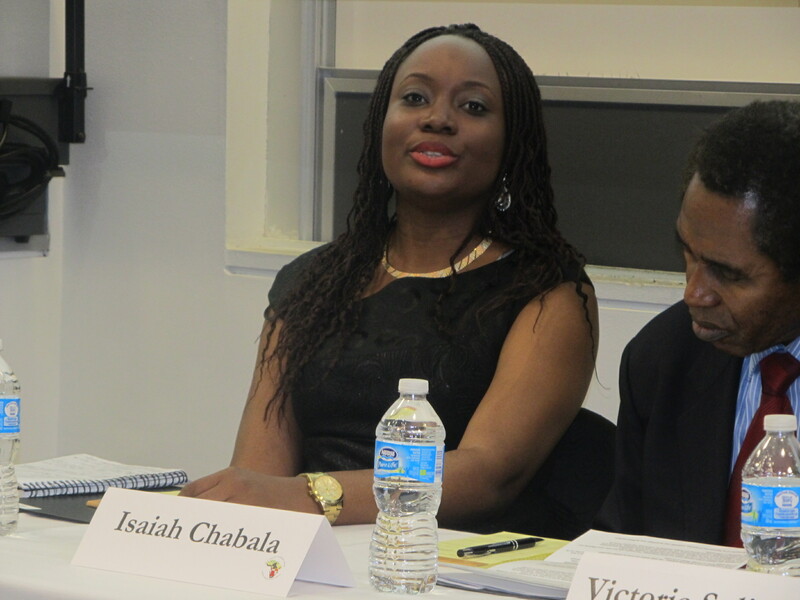 She currently works as a Research Analyst at the International Food Policy Research Institute (IFPRI) in Washington DC, where she contributes to research exploring women’s empowerment in relation to improved nutrition and health, particularly in Africa and South Asia. With a background in anthropology and development studies (MSc Anthropology and Development Studies, London School of Economics ’08), Mara has always had an interest in understanding how- in different contexts – people set out to realize their aspirations, with what resources, and why. This, combined with a personal affinity for photography, means that she is very excited to be judging the AWP Network’s photo competition! 3. Reginald Bassey, (FCT Abuja, Nigeria) holds a Master’s degree in Public Administration (MPA) with a concentration in Public Affairs and Policy from the City University of New York (Baruch College). He earned a Bachelor’s degree in International Relations from Covenant University in Nigeria. 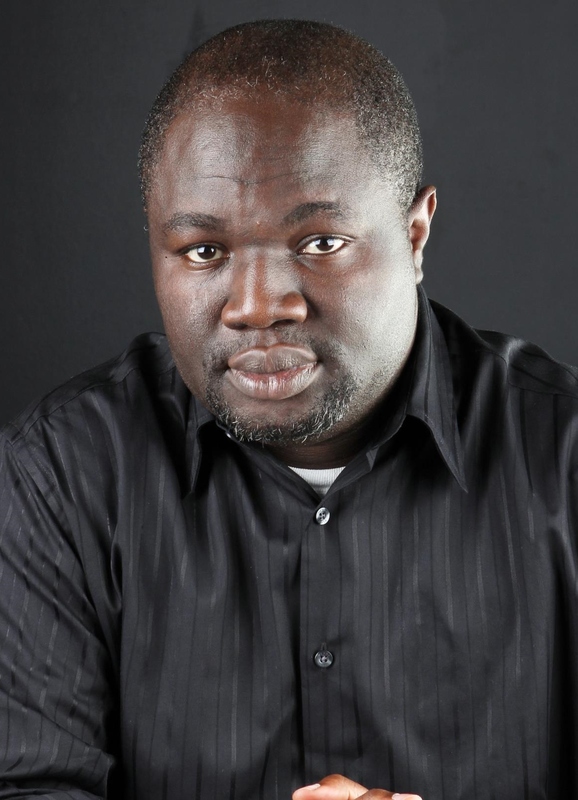 Reginald is a writer and has contributed to various magazines and online media. He maintains a blog at http://www.calabarboy.com, where he writes on different issues ranging from leadership to personal effectiveness. He is deeply passionate about a new Nigeria where citizens are highly valued and given equal opportunity to have a progressive life. He currently works as a public policy adviser and a community organizer for local and marginalized communities, and serves as a Senior Legislative Aide and Chief of Staff in the House of Representatives at the National Assembly, Abuja. 4. Ruky Okotcha, (Lagos, Nigeria) has often been described as a “private individual with public interests.” Ruky’s vision is to see every person live their lives and tap into the potential that is already within them, and create a chain of goodwill, success, and community spirit. Ruky has served local communities through non-profit organizations for Entrepreneurship, Leadership, Education, and Healthcare in Lagos and South Africa through the Nigeria Leadership Initiative, Generation Enterprise, and the Slum to School Project. 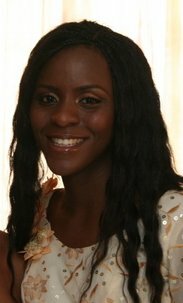 Ruky joined Whitbread PLC as a Management Analyst in 2008 and the Nigerian Stock Exchange as a Research Analyst in 2012. More recently, Ruky has spent a year sabbatical traveling through Europe, Africa, and Asia documenting life, people, and culture with an iPhone and hopes to publish a photo essay. 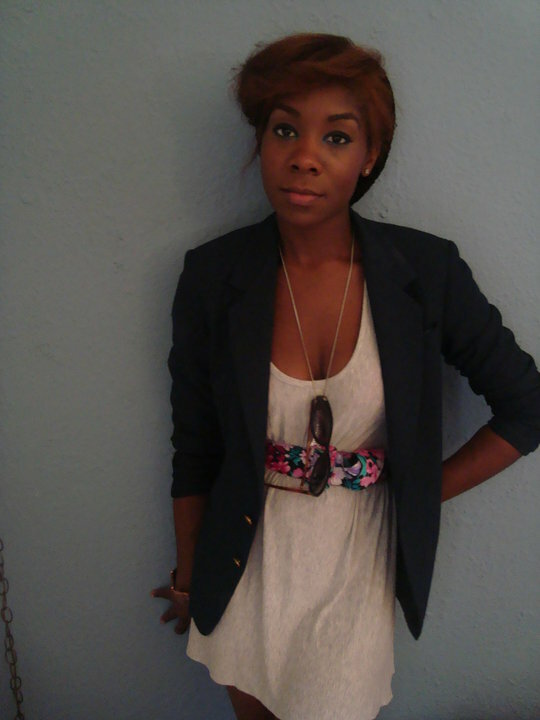 She will begin a Masters in Public Affairs at Sciences Po, Paris in August 2013. 5. John Ajah, (Lagos, Nigeria) is a seasoned Information System Analyst with a background in Electrical/Electronic Engineering from Covenant University. With over 5 years of experience providing tailored and adapted software solutions for business operations for firms in the oil servicing, financial, and logistics sectors. John has worked on a wide range of information system projects – designing and developing basic applications to handling business processes and implementing complex business solutions like enterprise resource planning systems. 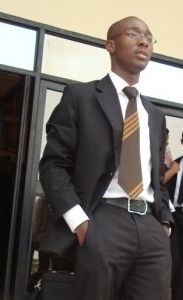 He currently works at Templeton Business Solutions Ltd as an Information Systems Consultant. 6. Ijeoma Genevieve Mbamalu, (New York City, USA) founded MUI – The PR Company (MUIPR) to strategically advise clients on how they can be successful within their distinct markets. Under her direction, MUIPR utilizes ethically driven approaches to responsibly represent brands and their interests effectively. In addition to PR, Genevieve has a strong background in quantitative marketing and scientific research, with specific training in behavior change communications, analytic demand modeling, new lead prioritization for priority market segments, and public health research. She has engineered research and evaluation efforts for various brands in NYC and co-authored original empirical work in top tier journals on a number of topics. She has also led studies that have examined the impact of ad campaigns on the attitudes, perceptions, and behavioral intentions of target audiences in NYC. Genevieve holds dual Masters Degrees from Boston University and Columbia University. 7. Kolawole Osinowo, (Lagos, Nigeria) is Key Account Manager for West Africa at Nokia where he co-creates with peers on disruptive innovations – working with mobile telecommunications operators across Africa. An IT Professional with over eight (8) years of experience in software engineering, web development, mobile technology, service management, digital marketing, retail sales, strategic account, management consultancy, and training. Kola holds a Bachelor’s degree in Electronics and Computer Engineering. Kola has been recognized by the Junior Chamber International (JCI) with the Training Fellow Award. He is a Certified World Bank Institute Social Innovator and was recently selected as a Crans Montana New Leader. 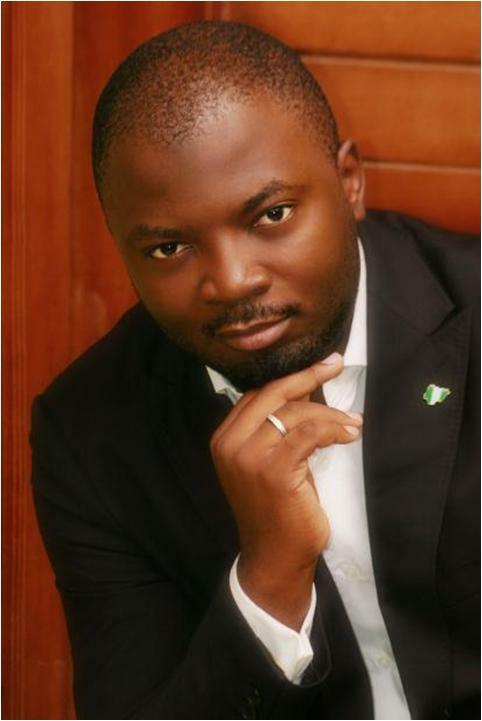 In 2008 and 2010 he was nominated as “Professional of the Year” at the Future Nigeria Awards. Adamu Waziri sat down with the AWP Network to discuss what inspired him to start his animation company, which produces the ‘Bino and Fino’ show. 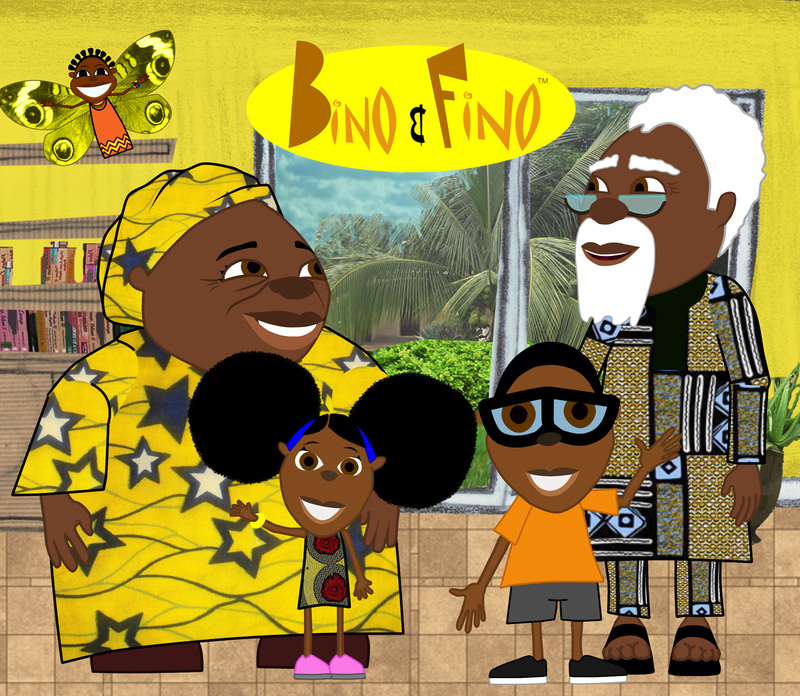 The ‘Bino and Fino’ show is an African educational and cultural cartoon series about a brother and sister, ‘Bino and Fino,’ who live with their grandparents ‘Mama and Papa,’ in a modern-day city in Africa. ‘Bino and Fino’ have many adventures, where with the help of their friend ‘Zeena’ the Magic Butterfly, they discover and learn things about the world. EVCL stands for E-Black Visual Concept Links Ltd. We actually wanted the name E-Black but it was already registered. E-Black is the title of an original comic magazine that I wrote a while back. Prior to owning this business, I worked as an animator in London but found that no one in Nigeria would pay me the salary that I wanted, so I felt that the only option for me was to set up my own company. I did not, in my wildest dreams, think that I would end up running an animation company. I also felt that many people in Nigeria did not care about producing ‘quality’ animation hence, my goal was to create a company that provided a solution. At EVCL, we produce animated content with a Nigerian or Sub-Saharan African flavour. Our goal is to produce shows that educate, enrich, and entertain. Currently, we produce the ‘Bino and Fino’ show. This animated show is geared towards families here in Nigeria and in the Diaspora – with children between ages three (3) and six (6). We focus extensively on educational content and our aim is to inspire young Africans. The secondary target audience are families who are interested in teaching their children about African culture, history, and languages. How have you financed the company? Bootstrapping – we have financed our business from a variety of sources. This includes funds raised through jobs, and of course, we have received extensive support from friends, family, and supporters. The quality of work that we produce makes us competitive. Everyone on the team is keen on producing high-quality African-centred animation that is innovative and different. This is what sets us apart. Beyond that, I also want to highlight the creative talents of our team members. We push ourselves to do better. We are also not in this for the quick buck but we are in it for the long-term and that reflects in how we conduct business and more importantly, in the projects that we take on. The five-year plan is to become a media content production outfit that produces entertaining and thought-provoking African animated content for a global audience. We want to provide jobs and a platform for animation talent in Africa. 1. The lack of basic infrastructure such as power – we provide our own electricity and that gets very expensive. 2. Finding and sourcing the right staff – in an industry like ours, you have to hire the right people. 3. Finding distribution channels for our products. 4. Access to business finance. 5. Facing resistance from, and gaining access to, local industry gatekeepers. *Be patient! – things usually take much longer to happen and sometimes they don’t happen at all. *Be focused! Remain focused on your goals. *Above all, understand the importance of networking. Relationships are not always about what a person can do for your business right now. In fact, they may not be able to help now, but they may be able to support you at a later time. 1. Is your business idea actually solving a problem? Speak to your market. 2. The journey will get very lonely…. You need passion to keep you going. 3. Be humble and keep learning. You never know where you might get help and knowledge from. 4. Be patient – things will probably take three (3) times longer to happen than you initially planned especially in Nigeria. 5. This is very important – the difference between people saying your business is cool and actually buying your product is a big one. Before you conclude that there is no money, do your research! There are grant programs and initiatives out there to support entrepreneurs. Also, think outside of the box. Reach out to friends and family members for support. Sometimes the lack of money helps you come up with innovative strategies and different solutions. For most small businesses, the lack of money should not be a barrier to starting, although it might be a barrier to growing. The most important thing is to start. If we had waited for perfect financial conditions, we would probably still be at the drawing board stage. The internet has opened up platforms for young people to discuss and organize forums. Youths also need to develop a culture of collaboration. Right now the feedback is that it’s a dog eat dog world but things are changing slowly. We should always remember that collaboration is key. This is a big one. I definitely don’t have all the answers. There needs to be action from both the public and private sectors. The government needs to setup an enabling environment – this includes providing suitable infrastructure, enforcing business laws, and creating the right tax policies. Education also has a large part to play. I will say that the Nigerian public educational system does not foster innovation and more needs to be done on that end. Oluseun Onigbinde is co-founder and Lead Director of BudgIT, a civic startup company focused on promoting good governance by simplifying the Nigerian government’s budget. Using info-graphs, maps, mobile applications, and various new technologies, the company makes public data more understandable, accessible, and transparent to the average Nigerian citizen. The AWP Network connected with Oluseun and in this interview, he emphasizes the need for African youths to deliver value through their various initiatives. How did you come up with the name BudgIT ? The idea was conceptualized and developed at the Tech-In-Governance event, a 48-hour bootcamp organized by the Co-Creation Hub in February 2011. BudgIT launched officially September 13, 2011. The company name was previously “Budget4u,” but I didn’t feel comfortable with that name so I changed it during a hackathon in Lagos, to BudgIT. I started this company because I want to make an impact. Prior to starting BudgIT, I worked at a bank but when I was there, I was very restless, unsatisfied, and felt this urgent need to do more. I began to think about my strengths and weaknesses – it was then that I made a connection. I am quite knowledgeable about public and project finance and I felt the desire to share this knowledge by analyzing the budget and other public data for the Nigerian audience. I felt an urgent need to solve a problem and I felt connected to the struggles of the average Nigerian citizen who may feel excluded, powerless, and may not know how to interpret complex data or budgets. To cut the long story short, I felt inspired to start this company based on my desire to have an impact in the world. Nigerians – I believe that transparency and good governance ensures democracy and I find that access to budgetary information should be available to all citizens. I am particularly interested in helping Nigerian citizens interpret available government data. Currently, we plan to expand from analyzing the government’s budget to supporting NGOs and other institutions. This company is a social enterprise so we have to show both impact and profit. Social entrepreneurship involves solving core societal problems, which might not be sustainable through charity and may not provide direct profit to capitalists. So at every point, it is more of where we want to be in terms of impact and influencing social change. Currently, our main funders are Indigo Trust UK and the Open Society for West Africa. We also provide consulting services to the Department for International Development (DFID) and the Nigerian National Assembly Budget & Research Office. We have a strong collaborative approach and work extensively with locally based partners. The impact we want might be painful but slowly but we are getting there. What is the long-term or 5-year plan for your business? Our long-term plan is to grow the BudgIT platform using open technologies. Our aim is to interpret the budgets of various African governments into a more interactive and creative document. I also think about developing a framework for participatory budgeting across the continent using different technological tools and offline forums. I want to lead a campaign of getting more African countries to embrace Open Government Partnership (OGP). We face several challenges. The first is getting data from the government. The Nigerian government is very unwilling to release data. The second is meeting the expectations of citizens excited about data, good governance, and transparency. We also face challenges with funding. Our team currently consists of eight (8) people and we plan to expand. Currently, only four members of the team work full-time. Good developers are costly, but despite these challenges, we have to keep going. What five key things have you learned since starting your business idea? 1. Learn to quickly recognize a bad idea and learn to let go of them. 2. Focus: In the race for market share, many things will look appealing and seductive. Identify and clarify your goals, values, and purpose. There must be no ambiguity on what value a founder wants to unlock. 3. Strategic Marketing: define what it is you are selling and who you are selling to. What networks do you need to expand your footprint? My company’s message is centered on advocacy so I collaborate with EiENigeria, OKFN, and the Center for Social Justice. 4. 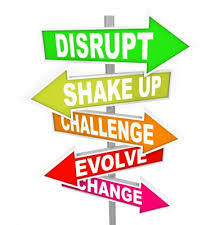 Maximize your trigger points: when you are a startup, you are the new kid on the block. With persistence, there will always be a trigger point. BudgIT did that with the Occupy Nigeria movement. 5. Grow Lean: there is the mentality of ‘I have arrived on the first breakout’ in terms of revenue or impact. In this instance, you see a co-founder buying new cars or changing apartments. A start-up is still standing on a fragile pivot, so stay lean until your profit margin increases. I am currently learning that. 1. Passion – focus on the “it,” the reason why you exist. 2. Focus – keep it straight like laser, the hardest of metals will bend. 3. Excellence – let it be said by the unknowns that you tried your best to deliver exceptional value in a timely manner. 4. Integrity – never ever lose a shred of it. 5. Iterative Learning – never stop finding out why an idea works and why it never worked. Never pause on self- improvement or development. A start-up entrepreneur is in the kindergarten school of business. You actually need money to start a business. My advice is to start small and more importantly, keep your eye on delivering value. Also, there is something called, “reputation quotient” which means, using the power of your networks. If your idea is brilliant and you are persistent enough, someone will buy it. There is a need to work together across the continent. Collaboration is vital. Currently, we are planning an exchange project in Senegal to deepen access and good governance. I am in the tech business and it is more of skill strength over the number. I will favorably say eight (8) jobs. I want to do more but I eagerly need to have a healthy balance sheet. We need to support more collaborative spaces. BudgIT was incubated at a technology hub and what could have been serious challenges in the early stages of a startup, issues related to funding, goal definition, market strategy, and so on were easily gotten at the hub. We need more hackathons, co-creation hubs, living labs, and I strongly believe these nodes can unleash talent in a communal way. Our grandfathers supported each other because they recognized the power of collaboration and community. We need to do the same and join our strengths together with our eyes on a common goal. I am sure we can surmount challenges and do great things. Currently, BudgIT is developing a model around public sector intelligence for Banks. This will allow banks to gain quick and refined access to government contracts, monthly allocations, and budgets. It is still an evolving process and still in the idea phase. 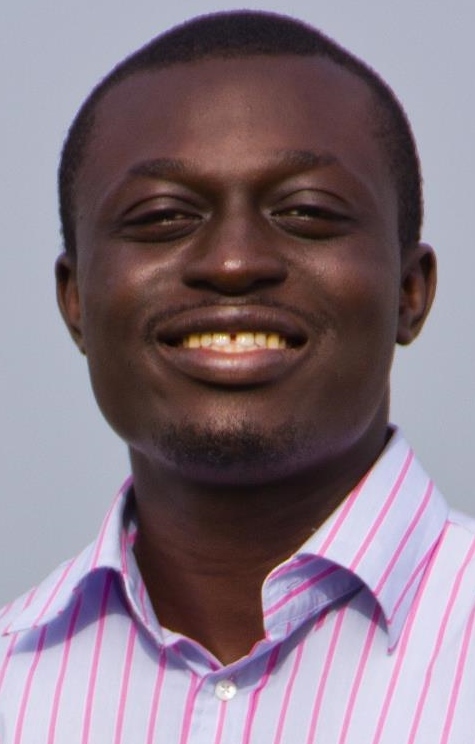 Oluseun Onigbinde is Co-Founder and Lead Director at BudgIT. He is a 2012 World Summit Youth Award winner, and an Ashoka Fellow. He graduated from the University of Agriculture, Abeokuta, with a degree in electrical and electronics engineering. He frequently contributes to the Data Journalism blog and is a member of the Open Spending Wiki Group, an initiative of the Open Knowledge Foundation based in United Kingdom. His company BudgIT was recognized by Forbes Magazine as one of the top five African start-ups to watch out for. Oluseun dreams of leading a thriving public policy think-tank. Entrepreneur and innovator, Bilikiss Adebiyi-Abiola sat down with the AWP Network to discuss key lessons she’s learned since starting WeCyclers. 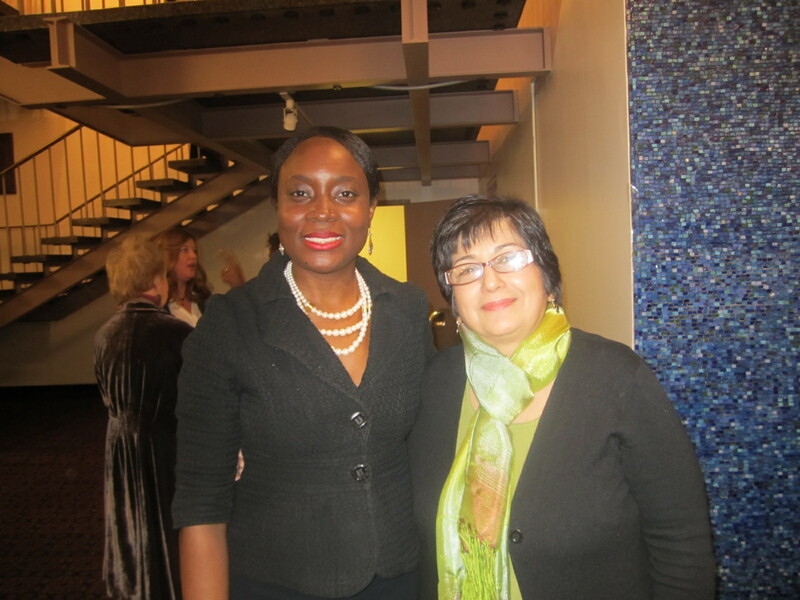 The AWP Network also extends a warm congratulations to Bilikiss for being selected as a 2013 Echoing Green finalist. 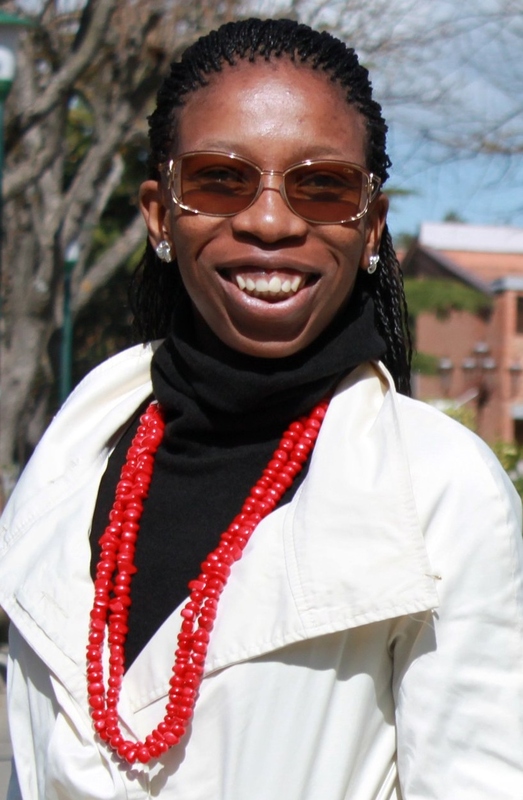 With an MBA from MIT, a master’s degree from Vanderbilt University, and an undergraduate degree in computer science from Fisk University – Bilikiss moved back to Nigeria determined to fix the urban waste management system. 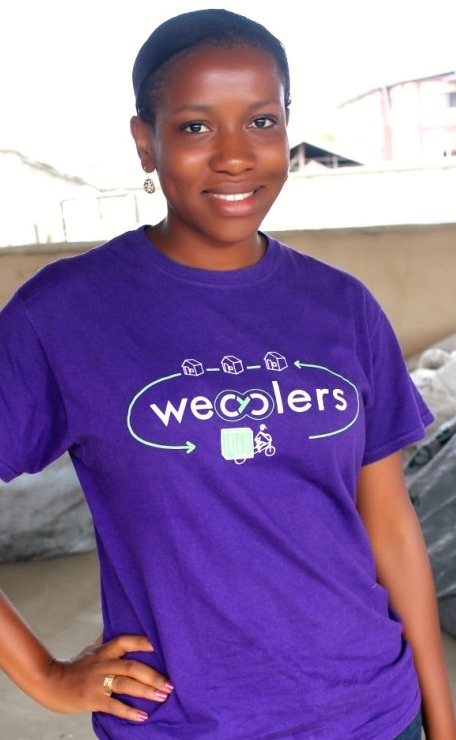 Her Lagos-based company is focused on giving low-income communities in developing countries a chance to capture value from waste and clean up their neighborhoods through an incentive-based recycling program. How did you come up with the name WeCyclers? Actually, I didn’t. The idea for this company came up in a development ventures class at MIT. The professor leading the class, Joost Bonsen, gave us the name and he has been very instrumental and supportive in helping to move the company forward. I have always been interested in ideas that focus on repurposing waste. As I previously stated, the idea for WeCyclers came up in my development ventures class at MIT. During this class, I met other people interested in doing something about waste in developing countries. Also, I worked at a large company for a few years prior to MIT so I think that this was a combination of several factors, one of which was that the timing was just perfect. Our idea is focused on developing countries, particularly low-income individuals. However, during our pilot, we discovered that there is a demand for WeCyclers from people within every strata of society. People are excited about recycling and they want to do their bit towards building a sustainable planet. We have raised most of our funding from Massachusetts Institute of Technology (MIT) sources. I think that MIT is the most supportive school for entrepreneurs period! If companies started by MIT alumni were classified as a country, it would have the 11th highest GDP of any nation. Companies like Bose, Dropbox, Hewlett Packard, and E*TRADE were all started by MIT alumni. There is a culture at MIT that focuses on making student-led ventures succeed. My company has received funding from the MIT Founders Skills Accelerator, MIT D-lab, and MIT IDEAS. We have also raised funds from our supporters who have a great understanding for the importance of promoting recycling – LAWMA, Coca-Cola, GlaxoSmithKline, and Shoprite have all provided us with funding. Our competitive edge is our incentives platform. We are building a strong network of people who are excited about recycling. What is your five-year business plan? We see a big opportunity here in Nigeria. We hope that in five (5) years we would be able to build a strong recycling network. Our two main challenges are funding and low awareness for our work. Doing business in Nigeria is also very challenging. I have been working on this idea for over a year now and I have learned quite a bit. 1. I have learned not to sweat the small stuff – you have to be very good at time management and sometimes you do not have the luxury to obsess over unimportant things. 2. I have changed quite a bit as a person. Before WeCyclers, it was quite difficult for me to communicate how I felt. I always felt the need to be polite but now, I am more direct and I stand up for what I believe in. 3. I have learned the importance of networking. You only learn when you are interacting with others. 4. I have learned to take some time out for myself. 5. I have learned to delegate and trust my team. 1. Believe in your idea even if other people are trying to convince you otherwise. It is great to incorporate people’s feedback into your work, but if you do not agree with them, stick with your plan. 2. Network! Network! Network! I cannot stress the importance of networking. It is very vital to growing yourself and your business. 3. Be comfortable with uncertainty. 4. Help out other start-up entrepreneurs when you can. 5. Learn how to negotiate – negotiating is a very important skill. The easiest way to get funding is to build a team. You will be surprised at how quickly your idea will take off when you have a solid group of people that are equally passionate about it. Also, like our parents say, two (or more) heads are better than one. The diversity as well as the expanded network will amplify your chances of funding the venture. How do you think Nigerian youths can continue to support one another? I find that Nigerian youths are supportive of one another. We have had a large number of young volunteers who are excited about what we are doing and want to see us succeed. I would say they should continue to help out when they can. We need to invest more in education. 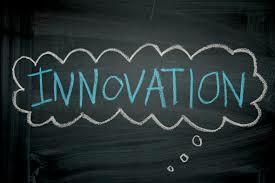 You cannot innovate when you do not have a good education. Also, we need more technology incubators and accelerators like the Co-Creation Hub (CChub). The team at CCHub has been very supportive. They are working hard to ensure our success. It will be great to see more organizations like CChub in Nigeria and throughout Africa – dedicated to supporting aspiring entrepreneurs.